Q-O2 hosted two international workshop groups from the Masters of Artistic Research program (MAR) from the Royal Academy of Art (KABK), The Hague, Netherlands (led by Raviv Ganchrow and Gabriel Paiuk) and The Sound Art Class from The Braunschweig University of Art (HBK), Germany (led by Carsten Stabenow) working on the topics ‘Modes of Listening’ and ‘Interpretation of Noise’. Results of the semester projects and the workshops will be shown at Galerie Rivoli. Citizenne is building an open and learning Brussels in collaboration with other organisations, groups and communities. A place where residents feel connected and involved. Citizenne organises, among others, courses, debates, workshops and trips, very much with the locals and their daily lives in mind. Their activities are there for them and by them. Citizenne creates conditions and opportunities for locals to carry out their own projects and do their own thing. During Tuned City Brussels, Citizenne invites you to come and explore the festival in group, with a word of explanation from the artists and organisers along the way. BNA-BBOT encourages a large number of people to record their conversations about life in Brussels. The objective is to keep these sound recordings in a useful sound library with a view to distributing these in the broadest sense possible. BNA-BBOT has made technical recording equipment available for this purpose, receives and collects testimonies that are subsequently archived and organised in a trilingual database. This is available online from www.bna-bbot.be and currently contains more than 1,800 testimonies that date from 1999 to date. 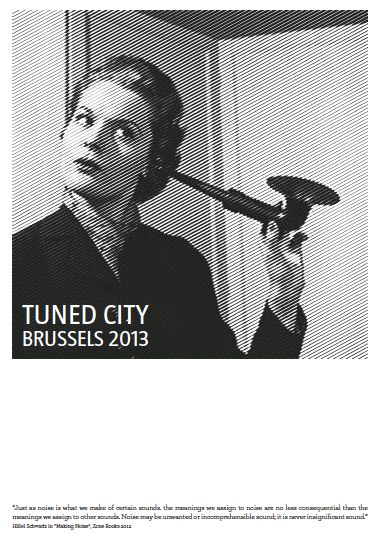 Carsten Stabenow, founder of Tuned City, will briefly introduce the project and will give an outlook on the plans for Brussels. Dr. Lamberto Tronchin, Professor in Environmental Physics from the University of Bologna, recognised internationally as a leading authority on the subject of sound and acoustics and a pianist himself, will open the evening with a lecture about one of the most inspiring thinkers of sound and space in the 17th century, Athanasius Kircher. The Belgian architect and urban planner Luc Deleu, questions with his utopian projects the role of architecture and urbanism in the modern age, their position and duty in a global society and opens with his visions new perspectives of thinking architecture. Ariane Wilson, architect and art historian at the RWTH Aachen focussed her research on the role of sound in city and architecture and will give an overview about the current developments in that field. During Artefact Festival 2013, Felicity Ford (UK), Peter Cusack (UK) and Pascal Amphoux (CRESSON) (FR) present their different views on the relation between city and sound, preceded by sound walks through Leuven. Two walks start at STUK’s ticket office at 19:00, the lectures and presentations start at 20:30 in STUK Labozaal. Ligna (D), Christina Kubisch (D), Felicity Ford (UK) + Valeria Merlini (IT/D), Roberta Gigante (BE), Nikolaus Gansterer (AT), Christoph Fink (BE), Udo Noll (D) and Will Schrimshaw (UK). 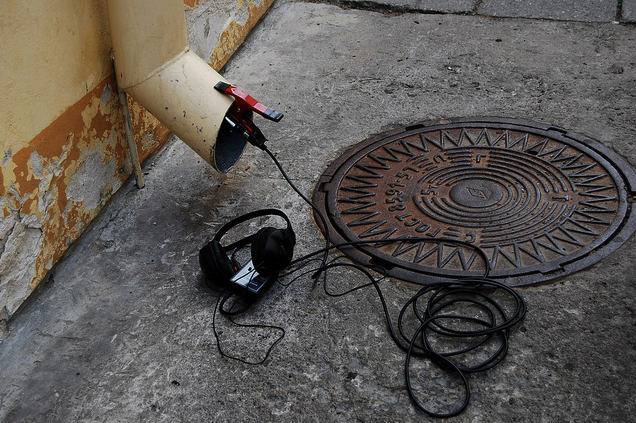 Lecture-event #2 will introduce the work of 8 artists dealing with sound, public space, architecture and the city. Space and its sound can be considered an artistic subject or field of operation in both a physical sense as well as in terms of symbolic and metaphorical associations. Artist presentations will open these various layers of meaning, giving insight into working methods while exploring specific approaches to sound and the urban. A collaborative workshop week together with Sint Lucas Architectuur, Erasmus Hogeschool RITS/Radio, Sint Lukas Transmedia, a.pass, okno and La Cambre (ENSAV) option Espace Urbain and l’Escaut. 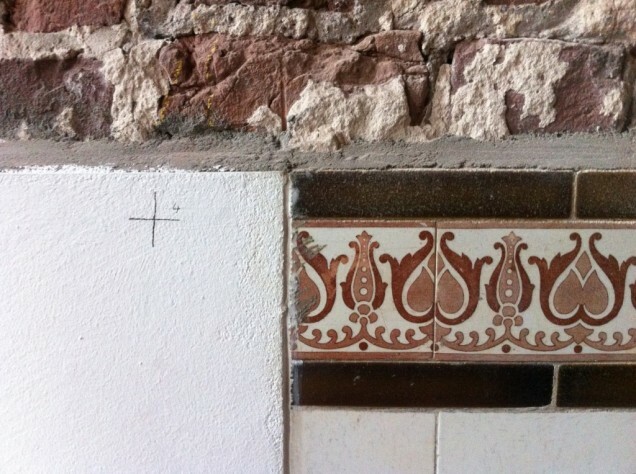 Felicity Ford and Valeria Merlini will work with you to explore the sonorities of the city. Together we will create a radio show to give listeners who do not know the city some sense of its aural character. These workshops will lay a foundation for Tuned City in June, celebrating the sonic identity of Brussels in advance of the festival. This first workshop series in March will lead to the production of a radio show for framework:afield. The theme for this radio show will be “Listening to Brussels from within and without”, as we will focus on both interior and exterior spaces; individual vs. collective experiences; and the differences between how residents and visitors hear a city. Participants get special designed wireles headphones , which are able to make audible the otherwise hidden electromagnetic fields of the city. These sound are of great variety: rhythmic structures, hums, thick layers of multiphonics etc. The participants make guided and/or individual city walks and explore the fields. They make a map of their itineraries and discuss the sounds and the places they come from. Participants should develop together with me a practical work about these experiences. This can be a visual or acoustic work. The result is a public presentation in a public space which is based on the electromagnetic mapping of Bruxelles. ‘slow listening – speed interpretation models’ proposes a modelling workshop in order to train specific ways of listening and gain awareness of multiple ways of designing. During the workshop we make personal interpretation models that can be interpreted by others endlessly. The approach is based on the work of John Cage. His oeuvre offers us slow listening and concrete mechanisms for (re)interpretation. The whole set is a playground in-between (urban) space and sound. The goal is to imagine modelled and concrete translations of this approach. 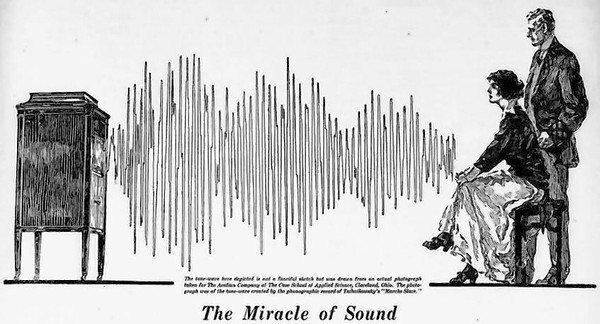 Schafer’s tone of prime unity describes the determination of a collective sonic unconscious through the acoustical impressions of electricity. Schafer optimistically interprets this as the foundation of a community of listening subjects bound by fundamentals established by the `electric revolution’ (Schafer: 1994, 89-99). This workshop begins with a more ambiguous interpretation of Schafer’s discovery of the “tone of prime unity”, understanding it to be an example of the influential capacity of acoustic space, its ability to subliminally inform and individuate. 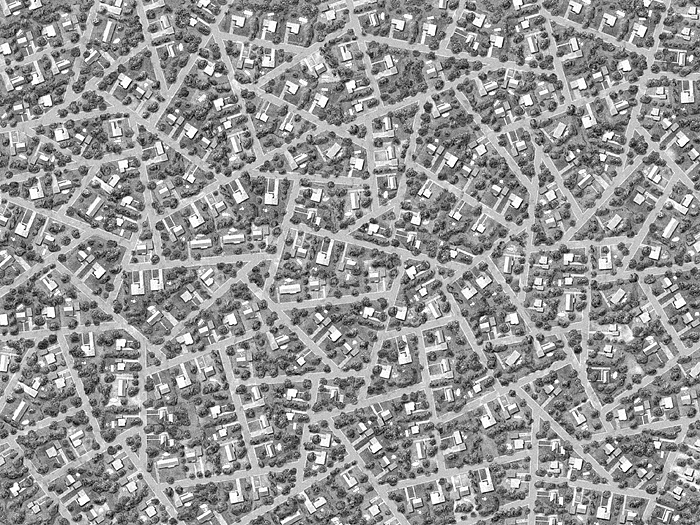 This workshop will make use of the following methods: Pedestrian Research: A mongrel, undisciplined practice combining philosophy and computing in the pursuit of a concrete epidemeology of concepts on foot. Archaeoacoustics: the decoding and study of acoustical events and utterances impressed upon physical artifacts.